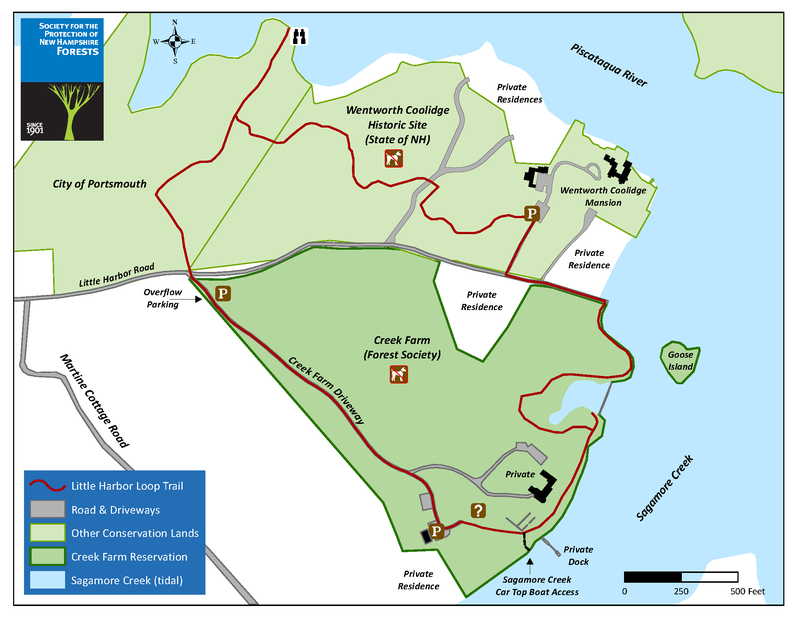 The Little Harbor Loop Trail is a short walk by Sagamore Creek, past a historic site, and through the seacoast forests. The trail starts at Shoals Marine Lab, in the Creek Farm Reservation, owned by the Forest Society. From the parking area, you will see a sign for Little Harbor Loop Trail. Do not go in the direction of this sign. 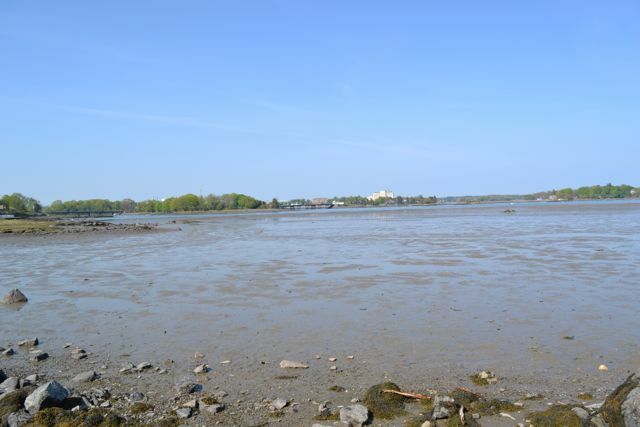 Instead, head toward Sagamore Creek and follow the lawn to the left, past the marine lab. 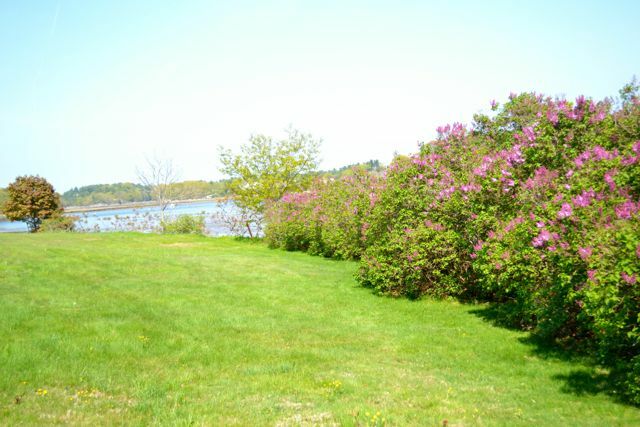 Walk along the water’s edge, past pretty lilac bushes. Looking over the water into New Castle, you can see one of New Hampshire’s four grand resort hotels, Wentworth by the Sea. 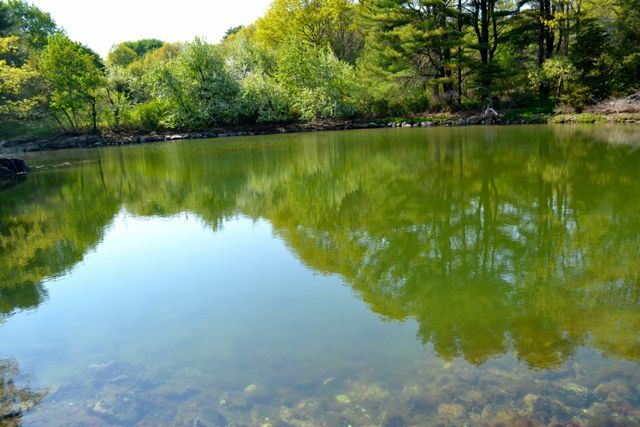 At the end of the lawn, the trail turns left to go around a tidal pool, while a spur path leads straight ahead to the tidal pool. 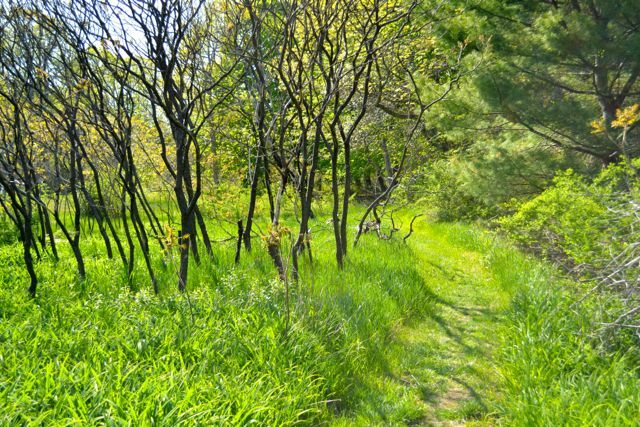 The trail continues through a meadow with pin cherry trees and around to the other side of the tidal pool. 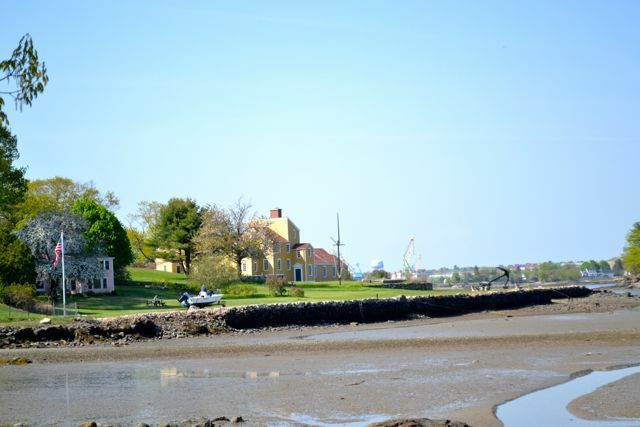 It continues along the shore until the Wentworth Coolidge Mansion comes into view. Then, turn left and follows a road as the trail crosses onto the historic site. Next, turn right onto the mansion access road. The trail soon turns left into the woods, but you can continue straight to see the mansion. 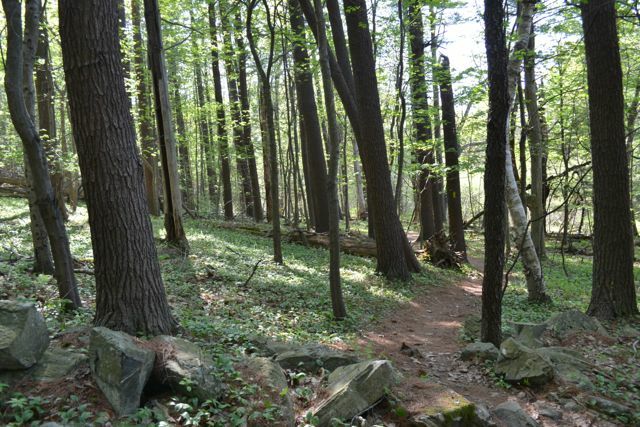 The trail winds through the forest in the historic site until it crosses the forest boundary onto city conservation land. Soon, you will see a spur on the right leading to a viewpoint. The viewpoint offers another perspective of the creek. 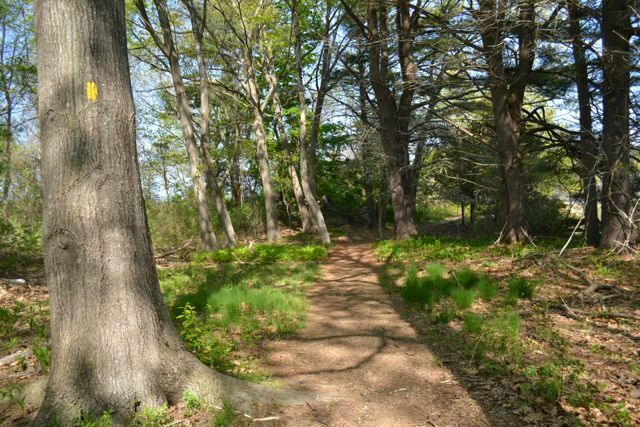 The trail leads back through the city conservation until it crosses Little Harbor Road, where it returns to Forest Society land. Follow the access road back to the parking area. 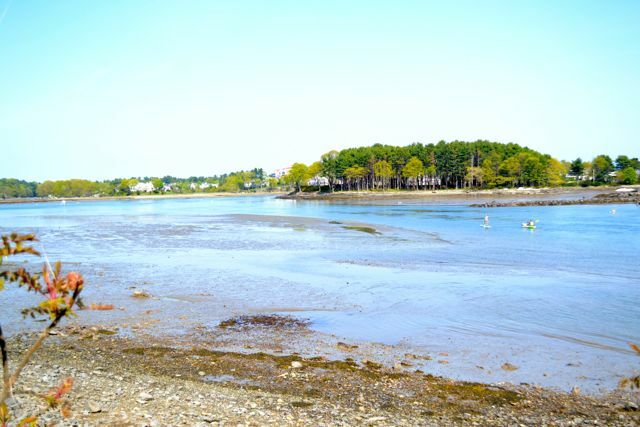 Enjoy views of Portsmouth and Little Harbor as you make your way along the water’s edge. A spur trail on the right leads to a spectacular view of the harbor. Parking lot is off Creek Farm Road, marked with a Forest Society Sign, and is 0.3 miles down to the parking area. Trailhead and parking area are on Creek Farm Road in Portsmouth, NH. Take Little Harbor Road off Rt. 1A, 0.8 miles south of Rt. 1 and 0.7 miles north of Rt. 1B. 0.4 miles down Little Harbor Road, turn right onto Creek Farm Road, marked with a Forest Society Sign, and drive 0.3 miles to the parking area.